Event organisers stopped Friday’s opening day of Rally Ireland early because of flooded roads - a decision which means Sebastien Loeb will carry the 44sec rally lead he held after SS6 into Saturday’s competition. Concerns mounted during the day as incessant rain poured down on northwest Ireland. 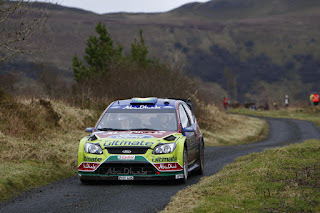 Ultimately, organisers were left with no choice and cancelled the two scheduled stages around Fardross and Murley in Co Fermanagh. "We are especially disappointed for all the fans who were looking forward to seeing the starts of the FIA World Rally Championship on their doorstep," according to Gordon Noble, Clerk of the Course. "All we can do is look forward to better conditions tomorrow." The stages will not be rescheduled. Loeb leads Sordo by 44 seconds, with the BP Ford Abu Dhabi of Mikko Hirvonen in third ahead of tomorrow's six stages around Sloughan Glen in Co Tyrone and Ballinamallard and Tempo, Co Fermanagh. Leading Irishmen are Gareth MacHale in ninth and Eamonn Boland in tenth. The drivers expressed disappointment about the cancellation but were not surprised given the difficulties encountered earlier in the day, particularly in the morning. "I don't have a lot of information on the reasons for cancellation but if the organisation decided to cancel these stages they must have had a good reason," Loeb said. "When we saw the conditions this morning and it wasn't cancelled ... if it was worse then I think it was the right choice." Better news is forecast on the weather front for tomorrow. According to Met Eireann, the region will have further spells of heavy rain but these should clear in the afternoon. Winds should moderate. 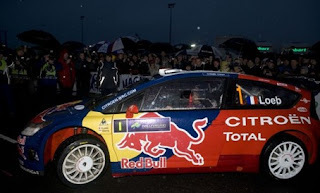 Loeb's fortunes have been transformed from the early morning stages when he said a boat would have been preferable to a car such were the atrocious driving conditions. He attributed this to a change to snow tyres, which he has mastered a lot better than his competitors. Sordo finished the sixth stage four seconds behind Loeb, having put behind him the earlier problems with his brakes. Estonian Urmo Aava, the surprise leader after the first stage this morning, relinquished third place when his Ford Focus spun off the road and into a ditch full of water. Spectators helped him get the car back on the road but he had lost so much time that he decided he had had enough for one day and retired. 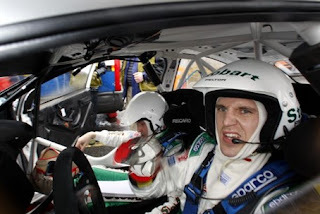 Mikko Hirvonen moved into third but he was left cursing his bad luck in the race to catch the Citroens. “I’m trying to take the fight to Sordo but I stalled the engine at a junction on this one and that cost me some time. I’ll keep on moving,” he said. Australian Chris Atkinson limped home. His Citroen took a battering, incurring left-hand front corner damage, a broken front bumper, a left-hand rear puncture and signs of a heavy bang on the co-driver’s door. “About a couple of kilometres before the finish we aquaplaned, spun and hit a pole of the outside of the corner,” he said. 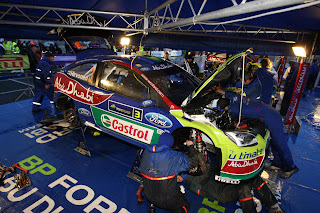 “We should be able to carry on but Stephane [Prevot, co-driver] has a sore shoulder, so we’ll have to see. "It’s really fantastic - I almost can’t say anything - it’s a dream come true," Aava said. "We made a good choice with the winter tyre, and it looks like Mikko and Sebastien made some small mistakes, so we have an advantage. Now we have to keep on driving. I don’t know how Loeb is going so fast on the slick tyre - he must be crazy." Ominously, his lead had been reduced from 22sec to 6.7sec by Loeb, after the Frenchman took his second stage win of the day. 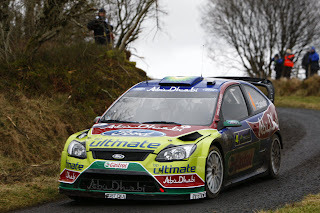 After Stage 1 Loeb described conditions as "impossible" and told Rally Ireland he was "not taking any chances". Similarly, Dani Sordo was amazed at the difficulties he faced on Stage One. "It was an incredible stage - very difficult to drive and the final part was very dangerous," he said. Conditions appeared to improve somewhat for Loeb in Stage 2 - but he was still looking forward to getting back to base! "It was much better but conditions were still extremely hard," he said. "On the first stage I did not want to take any chances, on the second stage we had much better grip but it is a long way to the finish." However, Loeb managed to master these conditions better than anyone and he leads the rally. On a typically wet, windy late January morning, the conditions proved challenging for even some of the best drivers in the world. The overwhelming consensus after this morning's first three stages was that, if anything, Rally Ireland 2009 was going to be even tougher than anticipated. 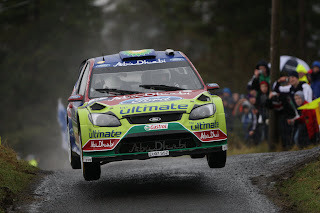 Jari-Matti Latvala got off to a flyer on the 22.25km first stage around Glenboy on the Sligo/Leitrim border but the signs were ominous for the Finn right from the start. 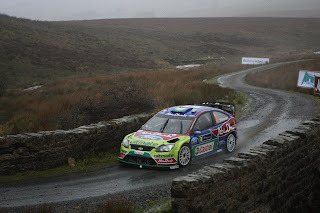 "It was very difficult, in some places I saw almost nothing," he told Rally Ireland after Stage One. However, worse was to come on Stage Two, when he was forced to retire from the race when he punctured his front left wheel and suffered a broken track control arm and broken drive shaft. A right rear puncture compounded the misery and there was no going on. The second part of what will be a very long day's rallying, starts again at 13.00 hours and concentrates on the Aughnasheelan area of north Co Leitrim. Large crowds are expected later for the highly anticipated night stage of the event, which begins at 19.00 hours in the Murley district of Co Fermanagh. 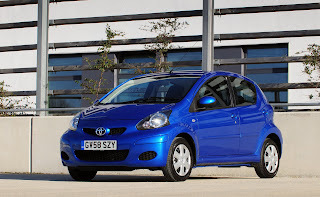 Article navigation: Home / Toyota / Toyota UK announced 2009 Aygo : Greener and Black and Blue, too. 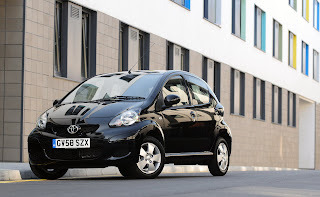 Toyota UK announced 2009 Aygo : Greener and Black and Blue, too. 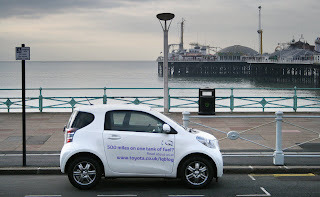 PORTMOUTH : January 30, 2009 - Aygo is a success story in miniature. Since launch in 2005 this small but perfectly formed Toyota has amassed more than 100,000 sales a year across Europe, its combination of low cost of ownership, contemporary styling and fun-to-drive character making it a top performer in the expanding A-segment. 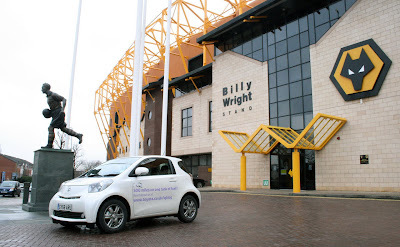 Now the factors that have made Aygo a winner have been further sharpened to make it an even stronger proposition. The result is the new 2009 Aygo, on sale now. The revised Aygo range includes two new feature models, Aygo Blue and Aygo Black, with exclusive equipment specifications, plus the established Aygo and Aygo+, in three and five-door body styles. All are powered by the Engine of the Year class-winning 1.0-litre VVT-i petrol unit, with five-speed manual or MultiMode transmission. 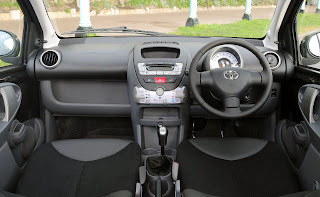 British drivers were quick to take Aygo to their hearts and the car was named Top Gear Car of the Year in 2005 – an honour it held jointly with the Bugatti Veyron. Since launch more than 44,000 have been sold in the UK, while Europe-wide the figure has already passed the 300,000 mark. Aygo’s sales performance has been helped by rising fuel costs and taxation linked to emissions: with its low on-the-road price, rock-bottom 1E insurance group, combined cycle fuel consumption of 62.8mpg and £35 (Band B) Vehicle Excise Duty bill, Aygo makes perfect economic sense. Market indicators suggest Aygo is well-positioned to benefit from a trend for car owners to downsize: the A-segment is expected to grow from 4.7 to 7.0 per cent of total European car sales by 2010, growth powered in part by the wider adoption of emissions-based tax plans. It’s a car with big appeal for younger drivers, and it has attracted a large number of women drivers, too, who account for 68 per cent of European sales. Toyota’s three-cylinder 1.0-litre VVT-i petrol engine, a category winner in the International Engine of the Year awards in 2007 and 2008, now benefits from the application of Toyota Optimal Drive, a raft of technologies that deliver greater efficiency, improved performance and lower emissions. When the engine was first launched in Aygo in 2005, it produced 109g/km of carbon dioxide. 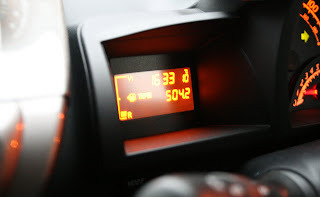 By early 2008, this figure had been reduced to 108g/km and for the 2009 Aygo it has fallen even further, to 106g/km. The engineering improvements that make this possible include a new cut-off system that saves fuel during gear changes and the adoption of low viscosity oil for less engine resistance. With its all-aluminium construction, the 1.0-litre VVT-i is the lightest internal combustion engine on the market, weighing just 67kg. It is also the most powerful in the A-segment, producing 67bhp (68 DIN hp), and it delivers class-leading torque of 93Nm at 3,600rpm. To provide better driveability in urban traffic, the development team worked to ensure strong torque at low to medium engine speeds by optimising the intake system, setting the appropriate manifold length and giving the intake ports a smaller diameter. The three-cylinder configuration also promotes the availability of torque in the low to mid-range, with less “metal” to move at lower speeds. The engine remains remarkably fuel-frugal, with consumption improved from 61.4 to 62.8mpg in combined cycle driving with five-speed manual transmission (the figure is unchanged for versions with the MultiMode gearbox at 61.4mpg). 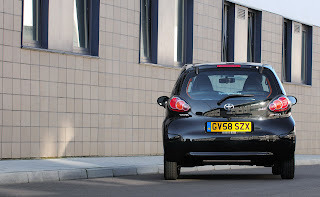 Designed and built in Europe, Aygo is 100 per cent Toyota. Its design features familiar elements, such as the characteristic bulge around the Toyota badge on the bonnet and the triangular quarter light. 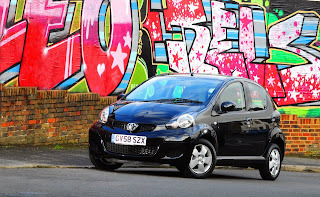 Overall Aygo’s appearance projects a sporty and fun character, with a high quality finish and a comfortable interior. This spirit is reinforced in the 2009 Aygo, with a re-sculpted front grille and bumper that emphasise the car’s low centre of gravity, giving it a more ground-hugging appearance. The extended front bumper increases overall length by 10mm and allows for neater integration of front fog lights, when specified. At the rear the rear lamp clusters have gained circular chrome detailing to accentuate their appearance, with a dark finish to the cover to match the look of the headlamps. There are also new-design wheel covers and 14-inch alloys. On five-door versions the B-pillar is finished in black for a smarter, sportier look and colour side protection mouldings are introduced on the new Aygo Blue feature model. 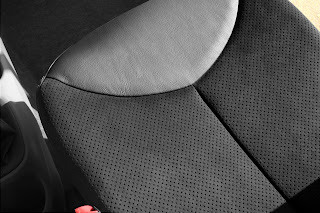 Aygo Black comes with new Alcantara and leather upholstery and leather trim for the steering wheel and gear knob. True to Toyota’s philosophy of kaizen – continuous improvement – Aygo’s NVH levels have been reduced. Sound-absorbing felt has been added to the interior A and C-pillar trims; thicker, denser materials have been used for the package tray; and asphalt sheets have been added between the carpets and vehicle floor. Under the bonnet, a new, damped engine pulley has been added to reduce vibration in the engine bay. 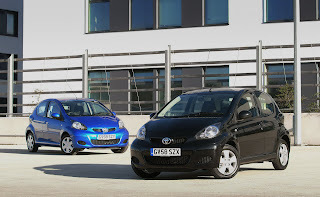 In addition to the regular three and five-door Aygo and Aygo+, Toyota has introduced two new feature models for 2009. Aygo Blue puts the emphasis on comfort and convenience, with air conditioning and Bluetooth connectivity provided as standard, plus an exclusive Cayman Blue metallic paint finish. Aygo Black ups the style factor with 14-inch alloy wheels, Alcantara and leather upholstery and leather trim for the steering wheel and gear knob, together with a black metallic exterior. This specification is available exclusively with manual transmission; further Aygo Black models with air conditioning added to the specification are available with a choice of both manual and MultiMode transmission. Owners can add more features to their Aygo with a choice of two accessory packs. 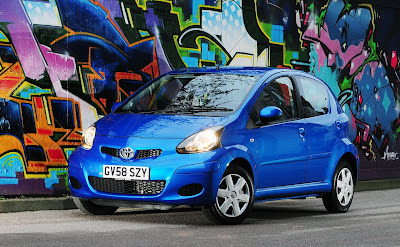 The Style pack for Aygo Blue (£580) provides alloy wheels, front fog lamps and front scuff plates. The Xtra Protected pack, available for Aygo Blue (£330), includes rear parking sensors, mud flaps and carpets. For Aygo Black the Xtra Protected Pack (£380) also provides side and rear bumper protection mouldings. PORTSMOUTH : January 30, 2009 - There is no questioning iQ’s status as one of the most fuel-efficient cars on the market, but a new hypermiling challenge has seen the tiny Toyota perform way beyond its official mpg figures. Piloted by two of the team from the iQ blog, a standard iQ2 with a 1.0-litre VVT-i petrol engine, broke through 500 miles on a single tank of fuel. What makes the achievement all the more remarkable is that this was no finely tuned marathon attempt, but a gruelling drive through some of the most congested town centres in the south and midlands of England and Wales. Setting out from Brighton on 25 January, the team tagged 18 cities in two days on a route that took them as far west as Cardiff and as far north as Wolverhampton. With atrocious weather conditions and rush hour traffic to contend with, there was pessimism about reaching the target, given that the theoretical range from a full 32-litre tank in an iQ is 462 miles. 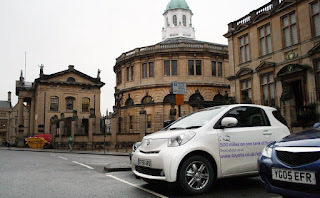 But in spite of wind, rain, congestion and the need to run the heater, headlights and wipers – all a drain on fuel consumption – the car managed 504.2 miles before ending its journey in central Oxford. That works out at 71.6mpg, compared to an official combined cycle figure of 65.7mpg. 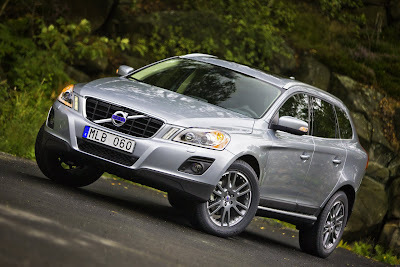 Article navigation: Home / Volvo / Volvo Announces Pricing of the New 2010 XC60 - New 52 images of XC60-T6 included! Volvo Announces Pricing of the New 2010 XC60 - New 52 images of XC60-T6 included! SAN FRANCISCO, CA : January 29, 2009 - Anticipation is growing as Volvo Cars of North America, LLC, (VCNA) today announced pricing of the exciting new 2010 Volvo XC60 T6 AWD small premium utility. With a starting price of just $37,200* for the well-equipped XC60, buyers will have it all: Class-leading safety, stunning design and unrivaled driving dynamics. The new Volvo XC60 goes on sale this March. The XC60 is Volvo's entry into the growing small premium utility segment. 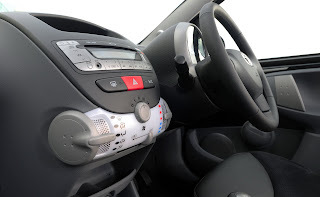 Features such as leather seating surfaces with a power driver's seat, SIRIUS satellite radio (with complimentary six-month subscription), hands-free Bluetooth connectivity, HD Radio technology with USB and AUX ports are all standard. As a special introductory offer, the unique Panorama moonroof will be offered at no charge. Customers may also opt for Volvo's DVD-based navigation system with integrated back-up camera and two new colors: Lime Grass Green or Terra Bronze. Continuing Volvo's quest as a pioneer and leader in vehicle safety systems, the XC60 introduces a new world's first "City Safety" as standard equipment. City Safety is a driver-support system aimed at preventing or mitigating collisions occurring at speeds of 19 mph or less. The new Volvo XC60 is the first production expression of Volvo's new design DNA. As a crossover, it artfully blends a dynamic mix of two car styles. Down below, the unmistakable, immensely capable XC pumps up its muscles creating a strong athletic body that is mated with high ground clearance and large wheels. Up top the flowing lines create the sporty charisma of a coupe. The 3.0-liter turbocharged T6 engine is based on Volvo's naturally aspirated 3.2-liter inline all-aluminum six-cylinder that was introduced in the Volvo S80 in 2008. The T6 delivers 281 horsepower with torque of no less than 295 lb.-ft., combining for best-in-class performance. Maximum torque is available from just 1,500 rpm and remains on tap throughout the rev range. The result is swift acceleration and impressive passing performance. Volvo's all-wheel-drive system with Instant Traction is standard in the new XC60. The XC60 is also included in Volvo's recently announced Complimentary Factory Scheduled Maintenance program, which covers the first three years or 36,000 miles (whichever comes first). Complimentary Factory Scheduled Maintenance helps reduce the cost of ownership by providing customers the first four maintenance visits to their Volvo retailer as complimentary. A wide range of services are covered by the program, including oil and filter changes, cabin filter replacement, complete fluid level top-offs and a check of the vehicle's on-board diagnostic system. VCNA, part of Volvo Car Corporation in Gothenburg, Sweden, provides marketing, sales, parts, service, technology and training support to Volvo automobile retailers in the United States, and oversees Volvo operations in Canada, Mexico and Puerto Rico. The 2009 Volvo Cars model lineup includes the award-winning S40 and its wagon counterpart the V50; the award-winning XC90; the sporty S60 sedan; the flagship S80 luxury sedan; versatile V70 wagon and rugged XC70 (Cross Country); the stunning C70 retractable hardtop convertible and the dynamic C30.